Located 12 miles east of downtown Los Angeles is the American Military History Museum, also known as Tankland. 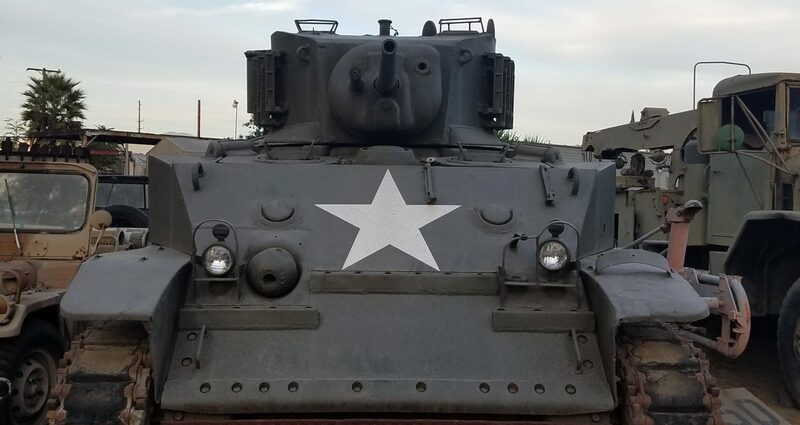 Our non-profit military history Museum is home to over 170 military vehicles & outdoor exhibits dating from 1933 to the present. Since 1962 we have been dedicated to preserving our nation’s military history. We recognize the immeasurable contributions of those in previous generations who have dedicated their lives to defend our nation. Our Museum is a tribute designed to honor our veterans and active military personnel.